As we've previously speculated, the Samsung Gear range of smartwatches is no longer, instead, Samsung has chosen to call its next smartwatch the Galaxy Watch. This brings it more in line with the Korean brand's range of smartphones, the Samsung Galaxy S9 and Galaxy Note series. This leak comes curtesy of the Federal Communications Commission (FCC), which, on Wednesday, published a sketch submitted by Samsung. There's no way that could be faked. When manufacturers release new hardware, they are required to provide the FCC with a diagram showing where the FCC ID will be located. The above is said diagram. It's worth noting the FCC has also granted permission for the Galaxy Watch to work on LTE networks in the US and Canada. We're still unsure what operating system the watch will use however, with early reports suggesting Samsung would be switching to Android Wear for its latest watch, likely in a bid to broaden the ecosystem of apps and developers. 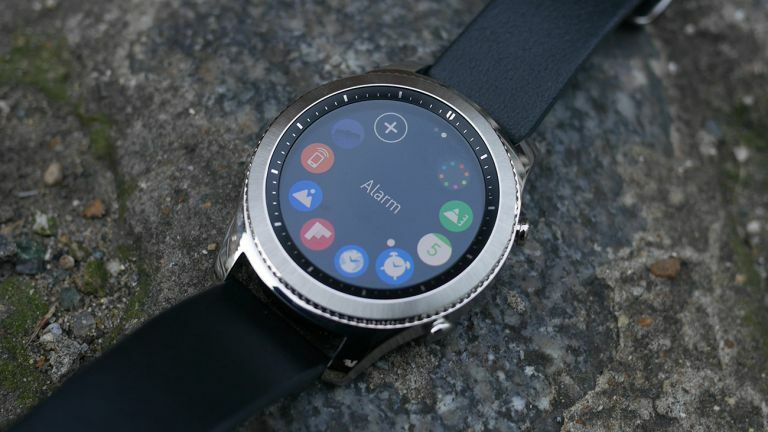 However, more recent reports from SamMobile suggest that the Galaxy Watch will in fact stick with Tizen, Samsung's in-house wearable OS.